The Stratux Low Power V2 nano-receiver is an RTL-SDR dongle modified to operate in low power consumption (100 mA). The Stratux RTL-SDR dongle is designed to be used in ADS-B reception (1090Mhz) & UAT (968Mhz) but can also be used to receive from 50 to 1500Mhz approximately. The configuration is identical to the R820T2 USB stick, with the Zadig software to install the RTL-SDR drivers. For ADS-B receiver, the kit used usually consists of 2 nano-Stratux, a Raspberry Pi, a GPS dongle (optional) and a Android or iOS tablet. Comes with: RTL-SDR Stratux nano receiver (limited quantity available). 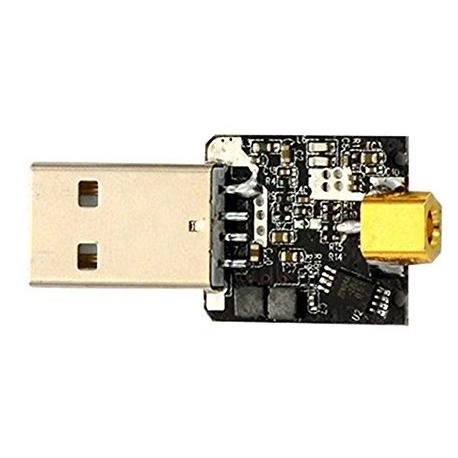 Description: The Stratux Low Power V2 nano-receiver is an RTL-SDR dongle modified to operate in low power consumption (100 mA). The Stratux RTL-SDR dongle is designed to be used in ADS-B reception (1090Mhz) & UAT (968Mhz) but can also be used to receive from 50 to 1500Mhz approximately. The configuration is identical to the R820T2 USB stick, with the Zadig software to install the RTL-SDR drivers. For ADS-B receiver, the kit used usually consists of 2 nano-Stratux, a Raspberry Pi, a GPS dongle (optional) and a Android or iOS tablet. Comes with: RTL-SDR Stratux nano receiver (limited quantity available).